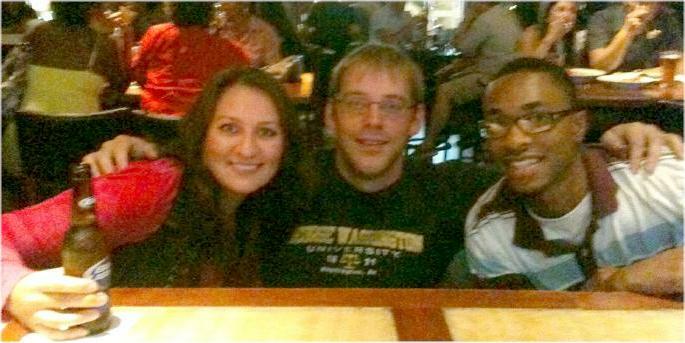 Eric's acceptance to George Washington, his #1 choice, was doubly special because it almost didn't happen. 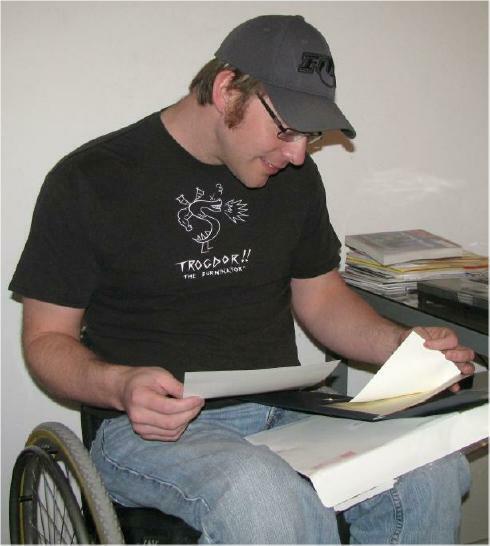 Eric's love of Extreme sports and other forms of hot-rodding earned him one traffic ticket too many -- after he had already applied to law school! 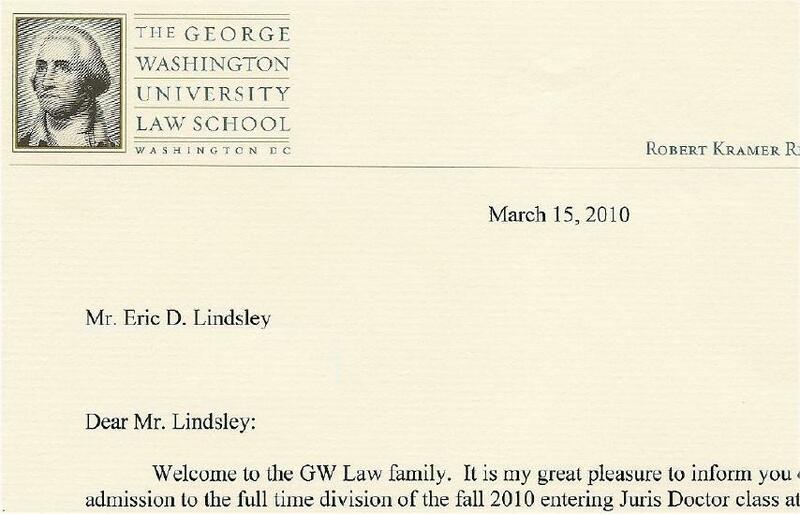 GW's Dean of Admissions was concerned, but we went to the Bay area Law Forum in February of 2010 determined to convince her to give him another chance. We begged; we groveled; we swore he'd give up driving altogether if need be. Somewhere in that fifteen minutes we said the right words, and Eric found himself getting the "big envelope" from GW. The most important part of that package, of course, is the letter below. Eric and girlfriend Marguerite settled into DC quite well, and social maven Dennis Holmes helped them discover the night life.